Correspondence chess has a long tradition in Russia. The first Russian chess masters Alexander Petrov (1794-1867), Karl Yanish (1813-1872) and Ilya Shumov (1819-1881) became engrossed in correspondence chess. In 1837 Petrov played a game against three amateurs from St. Petersburg who consulted with each other. After the game, the opening 1.e4 e5 2.¤f3 ¤f6 was named “Petrov’s Defence or Russian party”. During 1878 and 1879, two cities -Moscow and St. Petersburg- played a match which consisted of two games. The Moscow team won both games. The strongest local chess-players Alexander Solovtsov (1847-1923) and Eugeny Schmidt (1821-1905) played in the team. The first correspondence chess tournament took place in 1882-1885. Mikhail Shabelsky (1838-1909) was the winner of that tournament. The founder of the Russian school of thought in chess, Mikhail Chigorin (1850-1908), was a promoter of CC in Russia. Chigorin organised a lot of various CC tournaments and almost always was the winner of them. He headed the team of St. Petersburg in the matches against London (1886-1887), Paris (1894-1895) and Vienna (1897-1898). In 1890-1891 M. Chigorin won both games in the famous match by telegraph against V. Steinitz – the World Champion at that time. Chigorin’s comrades in arms followed him enthusiastically and took part in correspondence chess battles. The second strongest Russian chess-player Emmanuil Shiffers (1859-1904), the outstanding mathematician and academician Andrey Markov (1856-1922), and the famous historian and academician Paul Vinogradov (1854-1925) were amongst them. Sergey Mirotvorsky (1881-1920) stood out from the point of his enthusiasm amongst the organisers of correspondence chess tournaments in Russia early in the 20th century. He organised more than 50 tournaments in the period 1907-1917. Aleksey Alekhine (1888-1939) the elder brother of Alexander Alekhine (1892-1946), was one of the participants of the tournaments organised by Mirotvorsky. The future “Chess King” Alexander Alekhine was enchanted by correspondence chess in his childhood and he played frequently in tournaments from 1902 till 1910. Later he sometimes played chess games by telegraph or radio. A. Alekhine considered the two correspondence chess games that he had played in his youth worthy to be included in his book “My best games”. In 1922 the All-Russia Chess Union, with the help of the “Chess newsletter”, organised the first correspondence chess tournament after the October Revolution. Starting in 1925 the All-Union chess section organised correspondence chess tournaments. Valerian Yeremeev (1899-1980) was at the head of the Tournament Committee of All-Union committee of correspondence chess tournaments from 1938 till 1957. A strong correspondence chess tournament was organised in 1937-1938. A number of chess masters took part in it. Here are the results of that tournament: 1°. V. Sozin 9.5; 2°. V. Ragozin 8.5; 3°. V. Silich 8; 4°. A. Manevich 7.5; 5°. A. Konstantinopolsky 7; 6°. K. Vigodchikov 6.5; 7°. S. Lebedev 6; 8°-9°. M. Judro, I. Rudakovsky 5; 10°. D. Russo 4.5; 11°. H. Baranov 4; 12°. V. Gergenreder 3.5; 13°. V. Breitman 3. The first championship of the USSR started in January 1940, but it was broken off in the summer of 1941 after the Second World War had begun for the USSR. Once the war was over, the first correspondence chess tournament was organised in October 1945. The championship of the USSR became the main tournament. Quarter-finals and semi-finals preceded the final. The chess players listed below were the champions of the USSR: 1948-1951 Kostantinopolsky (1910-1990); 1952-1955 P. Atyashev (1918-1984); 1955-1957 G. Borisenko (b. 1922) and P. Dubinin (1909-1983); 1957-1960 Sadomsky (1910-1989); 1960-1963 G. Borisenko and Ya. Estrin (1923-1987); 1963-1964 V. Simagin (1919-1968); 1965-1966 Yudovich (1911-1987); 1967-1968 S. Sokolov (1937-1992); 1969-1970 L. Omeltchenko (b.1922); 1971-1972 L. Omeltchenko; 1973-1975 A. Voitsekh (b.1937); 1975-1977 V. Semenyuk (b.1935); 1977-1978 M. Umansky (1952-2010); 1979-1980 B. Postovsky (b. 1937); 1981-1983 Lipiridi (1940-1991); 1984-1986 D. Barash (b.1959); 1987-1988 I. Kopylov (1939-2002); 1989-1990 V. Yarkov (b.1953); 1991-1993 Yu. Zelinsky (b.1936). The semi-finals of the 20th Championship and the quarterfinals of the 21st Championship came to an end after the disintegration of the USSR. It was decided to complete all the cycles of the tournaments: the 20th championship of the USSR took place in 1994-1998 and it was dedicated to the memory of International arbiter of ICCF Isaak Romanov (1920-1993). The winner of this tournament was S. Khlusevich (b. 1956). The final of the 21st championship of the USSR was dedicated to the memory of the International arbiter of ICCF Boris Rozinov (1917-1997). The winner of this tournament was V. Malinin (b. 1956). Starting from the mid-1960s, the Ladies championships of the USSR were organised. The chess players listed below were the Ladies champions of the USSR: 1968-1969 E. Kvyatkovskaya; 1970-1971 E. Kvyatkovskaya; 1972-1973 K. Gorshkova; 1974-1976 K. Gorshkova; 1976-1978 L. Korolkova; 1978-1980 N. Krasikova; 1981-1982 A. Sukhinina; 1983-1985 A. Krasulina; 1985-1987 A. Sukhinina; 1988-1991 S. Khlusevich; 1991-1994 V.Roslov. From the mid-1960s, team championships of the USSR were organised. The combined teams of the Union republics, cities of Moscow and Leningrad (now St. Petersburg) took part in them. 1966-1968 RSFSR; 1968-1970 RSFSR; 1970-1973 RSFSR; 1973-1975 RSFSR; 1975-1978 Leningrad; 1978-1981 RSFSR; 1982-1984 Litva; 1984-1987 Moscow; 1988-1990 Moscow; 1990-1994 RSFSR. (The last championship was completed after the disintegration of the USSR). In the 1960s, the committees of correspondence chess competitions were formed on the bones of the federations of Union republics, Moscow and Leningrad (St. Petersburg). Nikolai Kashkadamov (1921-1995) was the organiser and the first chairman of the committee of correspondence chess competitions in RSFSR. Vladimir Filippov (b. 1925) was then the head of it for many years. In the 1980s the committee was transformed into All-Russia Council which was headed by Veniamin Borisov (b. 1932) till 1991. The committee of correspondence chess competitions in Moscow is headed continuously by Albert Latash (b. 1936). The committee in St. Petersburg is headed continuously by Nikolai Poleshchuk (b. 1950). In RSFSR individual and teams championships were organised starting from the mid-1960s. The list of the champions is impressive. Most of these champions won the championships of the USSR later, and they took part in international tournaments successfully. 1966-1968 G. Sorokin; 1968-1970 L. Omeltchenko; 1970-1971 V. Semenyuk; 1972-1973 N. Krivun; 1974-1975 M. Umansky; 1976-1977 V. Nikitin; 1978-1979 V. Demidenko; 1980-1983 A. Ptchelkin; 1983-1984 V. Yarmolik; 1984-1987 S. Khlusevich; 1987-1988 A. Ptchelkin; 1988-1990 V. Skobeev; 1991-1993 V. Roslov. Starting in 1957 and during the following 20 years, Prof. Ya. Eventov (1906-1989) was at the head of the committee of correspondence chess competitions in USSR. In 1978-1981 Mrs. Vera Sokolova (1911-1987) was at the head of the committee. In 1981 the committee was transformed into the All-Union Council of correspondence chess competitions. Prof. Vladimir Zagorovsky (1925-1994), the vice-president of ICCF, was at the head of the Council. In early 1992, in connection with liquidation of the structures of the former USSR, both the USSR Chess Federation and the Council of correspondence chess competitions were liquidated. In February 1992 according to decision of the constitutive Congress of the Russian Chess Federation, the Russian Council of correspondence chess competitions was formed with Sergey Grodzensky (b. 1944) at the head. In April 1993 the Conference of Russian correspondence chess players was summoned in Moscow. The Conference proclaimed the creation of the Russian Correspondence Chess Association (RCCA) and approved the Statutes. 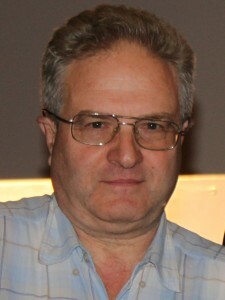 S. Grodzensky was elected President of RCCA for a term of four years (in 1997, 1999, 2003, 2007 and 2011 he was re-elected). RCCA has branches almost in all regions of Russia. The Council is the directing body of RCCA. RCCA has its own organ – the magazine “Correspondence Chess Herald”. After the disintegration of the USSR an independent Russia continued a long tradition to organize championships for men, women and teams of all regions. The chess players listed below were the champions of independent Russia: 1994-1996 Sergey Kuznetsov; 1997-1999 Sergey Romanov; 2000-2003 Aleksandr Dushin; 2004-2006 Jalil Davletov; 2007-2009 Sergey Matyukhin. The chess players listed below were the Ladies champions of independent Russia: 1993-1996 Anastasia Shumilkina; 1996-1999 Olga Sukhareva; 2000-2002 Galina Dyukova; 2003-2006 Nina Shchebenyuk; 2007-2009 Nina Shchebenyuk; 2010-2011 Larisa Morokova and Oksana Zhak. The team championship winners of Russia are the following teams: 1996-1999 Voronezh region, 2000-2002 Naberezhnye Chelny, 2003-2006 Bashkortostan, 2006-2009 Moscow, 2009-2011 Ivanovo region. The most outstanding results amongst numerous achievements of Russian correspondence chess players in ICCF tournaments are these: World CC Champions: 1956-1959 Vyacheslav Ragozin; 1962-1965 Vladimir Zagorovsky; 1972-1976 Yakov Estrin; 1984-1991 Grigory Sanakoev; 1989-1998 Mikhail Umansky;2007-2010 Aleksandr Dronov. Ladies World Champion: 1968-1972 Olga Rubtsova; 1972-1977 Lora Yakovleva; 1984-1992 Ludmila Belavenets;2002-2006 Olga Sukhareva; 2007-2010 Olga Sukhareva. Gennady Nesis was the winner of the second ICCF World Cup (1971-1983). The team of the USSR was the winner of the Correspondence Chess Olympiad seven times. The team of the USSR was the winner of European team championship twice. The women’s team of the USSR won Ladies correspondence chess Olympiad three times. The women’s team of Russia won Ladies correspondence chess Olympiad once. The chess players of both the USSR and Russia won a lot of various international tournaments and friendly team matches. A team of Russia has played friendly matches against the Rest of the World team twice. In 1993-1996 the team of RoW won 22:18, in 2004-2006 the team of RoW won 65.5:62.5. In the 1960s and 1970s the USSR Chess Federation, and in the 1980s the Council of Correspondence chess competitions, organised international tournaments regularly. The Russian Correspondence Chess Association has also been organisinga lot of international tournaments since 1993. The participants of these tournaments have a chance to get ICCF titles. The results of these tournaments are listed below. The international CC tournament in honour of Vyacheslav Ragozin (1908-1962), grandmaster of FIDE and ICCF, the second World Champion in the history of ICCF. 1°. H. Rittner (GER) 8; 2°-3°. Ya.Estrin (RUS), A. O`Kelly (BEL) 6; 4°. V. Simagin (RUS) 5.5; 5°-7°. M. Jovcic (YUG), A. Konstantinopolsky (RUS), M. Judovic (RUS) 5; 8°. G. Barcza (HUN) 4; 9°-11°. O. Barda (NOR), G. Borisenko (UZB), P. Dubinin (RUS) 3.5. The international CC tournament dedicated to the 100th anniversary of Vladimir Lenin’s birth (1870-1924) – the founder of the USSR. 1°. A. Khasin (RUS) 12.5; 2°. F. Baumbach (GER) 11; 3°. I. Morozov (RUS) 10 etc. The international CC tournament in honour of Sergey Mirotvorsky (1881-1920), the most prominent organiser of correspondence chess tournaments in Russia early in the 20th century. 1°. S. Brilla-Banfalvi (HUN) 9.5; 2°. D. Godes (RUS) 9; 3°-4°. S. Brzozka (POL), J. Jezek (CZE) 8.5; 5°. A. Mikhailov (RUS) 8; 6°-7°. V. Kosenkov (RUS), D. Ljubomirov (RUS) 6; 8°. G. Telbis (ROM) 5.5; 9°. A. Uogele (LIT) 5; 10°. S. Letic (YUG) 4.5; 11°. P. Angelov (BLG) 3.5; 12°-13°. P. Keglevic (YUG), I.Morozov (RUS) 2. The international CC tournament in honour of Vladimir Simagin (1919-1968), grandmaster of FIDE and the correspondence chess champion of the USSR. 1°. Z. Pioch (POL) 11; 2°. M. Gudjev (BLG) 10.5; 3°. M. Tseitlin (RUS) 10; 4°. M. Levin (RUS) 9; 5°-6°. A. Korolev (RUS), A. Lipiridi (RUS) 8; 7°. J. Sorri (FIN) 7.5; 8°. B. Persits (RUS) 7; 9°. I. Morozov (RUS) 6.5; 10°. V. Kosenkov (RUS) 6; 11°. M. Milovanovic (YUG) 5; 12°-14°. M. Arkhangelsky (RUS), S.Brilla-Banfalvi (HUN), F.Brglez (SLO) 4.5; 15°. I. Schrancz (HUN) 3. The international CC tournament in honour of Andrey Markov (1856-1922) – a distinguished Russian mathematician, one of the strongest chess players late in the 19th century, the winner of the first thematic CC tournament in Russia. 1°. M. Tseitlin (RUS) 10.5; 2°. A. Voltchok (UKR) 10; 3°-4°. A. Mikhailov (RUS), J. Trapl (CZE) 9.5; 5°-6°. S. Grodzensky (RUS), T. Koshil (RUS) 8; 7°-8°. D. Godes (RUS), S. Brzozka (POL) 7.5; 9°. J. Jezek (CZE) 7; 10°. J. Kondali (BOS) 6.5; 11°. G. Sapundjiev (BLG) 5.5; 12°. P. Klaic (SLO) 5; 13°. S. Letic (YUG) 4.5; 14°-15°. D. Ljubomirov (RUS), V. Demian (ROM) 3. The international CC tournament in honour of Alexander Alekhine (1892-1946), World champion of FIDE who was enchanted by CC in his youth. 1°. A. Gipslis (LAT) 8; 2°-4°. G. Sanakoev (RUS), S. Brzozka (POL), B. Sliwa (POL) 7.5; 5°-7°. P. Lehikoinen (FIN), R. Tomasevic (YUG), L. Omeltchenko (RUS) 7; 8°. A. Hollis (ENG) 6.5; 9°-10°. P. Heilemann (GER), V. Zagorovsky (RUS) 6; 11°. J. Jezek (CZE) 5, 12°. D. Godes (ISL) 3, 13°. J. Kondali (BOS) 0. The international CC tournament in honour of Mikhail Chigorin (1850-1908), the founder of Russian school of thought in chess, the strongest CC player in late 19th century. 1°-2°. I. Kopylov (RUS), I. Veinger (ISL) 10; 3°-4°. O. Ekebjaerg (DEN), J. Morgado (ARG) 9; 5°. A. Gipslis (LAT) 8; 6°. B. Sliwa (POL) 7.5; 7°-8°. S. Grodzensky (RUS), G. Nesis (RUS) 7; 9°-10°. E. Eichhorn (SWZ), S. Stolyar (RUS) 6.5; 11°. V. Antonov (RUS) 6; 12°-14°. K. Engel (GER), J. Jezek (CZE), R. Mallee (GER) 5.5; 15°. M. Shchebenyuk (RUS) 2. The international CC tournament in honour of Dmitry Ljubomirov (1935-1992), the international CC master. 1°. R. Hiltunen (FIN) 12; 2°-3°. T. Koshil (RUS), K. Vazersky (RUS) 11.5; 4°-5°. N. Khilchenko (RUS), V.Borisov (RUS) 11; 6°. G.Kubach (USA) 10.5; 7°. L. Hyldkrog (DEN) 10; 8°. V. Posharsky (RUS) 9.5; 9°-10°. P. Raivio (FIN), L. Raykin (RUS) 8.5; 11°. J. Bohak (SLO) 8; 12°. J. Laplaza (ARG) 7.5; 13°-14°. R. Kolesnikov (UKR), A. Berggreen (DEN) 6.5; 15°. N. Ogryzkov (RUS) 2; 16°. L. Hansen (DEN) 1; 17°. L. Monostori (HUN) 0.5. The international CC tournament in honour of Aleksander Konstantinopolsky (1910-1990), grandmaster of FIDE, international correspondence chess master, the first correspondence chess champion of the USSR. 1°. G. Gottardi (SWZ) 13; 2°. S. Khlusevich (RUS) 11; 3°. S. Brzozka (POL) 9.5; 4°-5°. A. Tsvetkov (RUS), M. Blokh (RUS) 9; 6°. J. Morgado (ARG) 8; 7°-9°. L. Hyldkrog (DEN), V. Malinin (RUS), V. Gritsaenko (RUS) 6; 10°. B. Sliwa (POL) 5.5; 11°-12°. A. Lutovinov (RUS), I. Morozov (RUS) 5; 13°. A. Berggreen (DEN) 4.5; 14°. D. Orseth (NOR) 4; 15°. O. Stepanov (RUS) 3.5. The international CC tournament in honour of Professor Yakov Eventov (1906-1989) who was the head of the committee of correspondence chess competitions in USSR for more than 20 years. 1°. S. Erofeev (RUS) 11.5; 2°. J. Jezek (CZE) 9.5; 3°-5°. E. Rodin (RUS), E. Tunev (RUS), A. Podymov (RUS) 9; 6°. M. Pichler (AUT) 8.5; 7°. A. Popov (RUS) 8; 8°. V. Shemagonov (RUS) 7.5; 9°-10°.Yu.Minakov (RUS), O. Vlasov (RUS) 7; 11°-12°. A. Nokso-Koivisto (FIN), S. Arzumanyan (RUS) 5; 13°. R. Molarius (FIN) 4; 14°-15°. D. Zlatin (RUS), R. Kolesnikov (UKR) 2.5. The international CC tournament in honour of Yakov Estrin (1923-1987), international master of FIDE and grandmaster of ICCF, the 7th World Champion in the history of ICCF. 1°-2°. I. Samarin (RUS), Ja. Kivimäki (FIN) 10; 3°. G. S. Blasberg (ARG) 9.5; 4°-6°. S. Khlusevich (RUS), J. S. Morgado (RUS), S. Grodzensky (RUS) 9; 7°. L. Rubinchik (UKR) 8.5; 8°-9°. I. Kopylov (RUS), A. Gipslis (LAT) 8; 10°. A. Pyshkin (RUS) 7.5; 11°.Yu.Minakov (RUS) 5.5; 12°. B. Sliwa (POL) 4.5; 13°. V. Borisov (RUS) 4; 14°. S. Muravyev (UKR) 2.5; 15°. M. Naivelt (RUS) 0. The international CC tournament in honour of Vsevolod Kosenkov (1930-1995), grandmaster of ICCF. 1°. V. Volodin (RUS) 10.5; 2°-3°. S. Korolev (RUS), V. malinin (RUS) 9.5; 4°. J. S.Morgado (ARG) 9; 5°-6°. J. Matlak (POL), V. Pankratov (RUS) 8.5; 7°-8°. S. Matyukhin (RUS), W. F. Bonatti (ARG) 7.5; 9°-10°. E. Rodin (RUS), A. Tsvetkov (RUS) 6.5; 11°. V. Aleshnya (RUS) 6; 12°-13°. S. Brzózka (POL), A. M. Pietrobono (ARG) 5.5; 14°. S. Arzumanyan (RUS) 4; 15. I. Veinger (ISR) 0.5. The international CC tournament in honour of Nikolay Kopylov (1919-1995), international master of ICCF, the winner of the 6th and 7th ICCF Olympiads. 1°. L. Raykin (RUS) 12; 2°. A. Gilimshin (RUS) 11; 3°. V. Turkov (RUS) 10.5; 4°-5°. M. Samraoui (ALG), V. Grigoryev (RUS) 10; 6°. B. Kovernikov (RUS) 9.5; 7°-8°. V. Shemagonov (RUS), A. Istomin (RUS) 6; 9°-10°. A. Rogemont (FRA), A. Kuzenkov (RUS) 6; 11°. M. Saunders (ENG) 5; 12°. A. Fedukin (RUS) 4.5; 13°. G. Topchy (UKR) 3.5; 14°. R. Berthelsen (NOR) 3; 15°.Yu. Blednov (RUS) 3. The international CC tournament in honour of Vladimir Zagorovsky (1925-1995), grandmaster of ICCF, the 4th World Champion in the history of ICCF. 1°. A. Makarov (RUS) 8.5; 2°. S. Webb (ENG) 8; 3°-5°. V. Grigoryev (RUS), N. Muzyka (RUS), D. Elyakim (ISR) 7.5; 6°-9°. P. Gaprindashvili (GEO), S. Khlusevich (RUS), F. Baumbach (GER), I. Kopylov (RUS) 7; 10. S. Grodzensky (RUS) 6.5; 11°. E. Golovko (RUS) 2; 12°. M. Johnson (ENG) 1; 13°. R. Berdichesky (ARG) 0.5. The international CC tournament in honour of Yakov Rusakov (1934-1988), international master of ICCF. 1°. O. Sogaard (DEN) 12; 2°-3°.C. A. van Wieringen (NED), I. Dolgov (RUS) 9.5; 4°. G. Lucchini (SUI) 9; 5°-6°. V. Lyukmanov (RUS), S. Smithers (USA) 8; 7°-8°. T. Thomson (SCO), Yu. Neborak (RUS) 7.5; 9°-10°.G. C. Muttoni (ARG), M. L. Wang (SIP) 7; 11°-12°. E. Likhachev (RUS), R. A. Oortwijn (NED) 5; 13°-14°.Ya.Grodzensky (RUS), I. Chernov (RUS) 4; 15°. C. J. Gonzalves (ARG) 2. The international CC tournament in honour of Piotr Dubinin (1909-1983), grabdmaster of ICCF, the correspondence chess champion of the USSR, the winner of the 4th, 6th and 7th ICCF Olympiads. 1°. P. Gaprindashvili (GEO) 11.5; 2°. L. Raykin (RUS) 11; 3°. S. Matuykhin (RUS) 9.5; 4°. I. Kopylov (RUS) 9; 5°-6°. N. Muzyka (RUS), A. Grishin (RUS) 8.5; 7°. V. Grigoryev (RUS) 7.5; 8°-10°. J.-U. Klügel (GER), A. Tsvetkov (RUS), Yu. Donskikh (RUS) 6.5; 11. B. Kovernikov (RUS) 6; 12°.G. A. Etchechoury (ARG) 5.5; 13°. G. Binder (GER) 4; 14°. E. Lüers (GER) 3.5; 15°. V. Zaitsev (RUS) 0. The international CC tournament in honour of Karl Yanish (1813-1872), a well-known Russian chess player and theoretician of the 19th century. 1°. A. Nickel (GER) 12; 2°. S. Mikeshin (RUS) 11; 3°. V. Aleshnya (RUS) 10.5; 4°. Y. Dothan (ISR) 10; 5°. A. Pankratov (RUS) 8.5; 6°.C. A. Blanco Gramajo (GUA) 7.5; 7°. A. Chigishev (RUS) 7; 8°. V. Pankratov (RUS) 6.5; 9°-10°. E. Rodin (RUS), A. Kharitonov (RUS) 5.5; 11°-12°.A. M. Pietrobono (ARG), V. Shemagonov (RUS) 5; 13°-14°. S. Smithers (USA), P. Boll (NED) 4.5; 15°. A. Tsvetkov (RUS) 2. The international CC tournament in honour of Ilya Shumov (1819-1881), a well-known Russian chess player of the 19th century. 1°. F. Kantsurak (RUS) 12; 2°-3°. I. Aronov (RUS), A. Gilimshin (RUS) 11; 4°-5°.Yu. Muzyka (RUS), Yu. Neborak (RUS) 10; 6°. V. Vayser (RUS) 7.5; 7°.H. Villar (ARG) 7; 8°. A. Ponomarev (RUS) 6.5; 9°.S. K. Kristensen (DEN) 6; 10°-12°.F. Diaz Rubi (ESP), V. Kokorin (RUS), A. Sanchez Rodenas (ESP) 4; 13°. A. Isomin (RUS) 4; 14°. I. Martinsons (LAT) 3.5; 15°. A. Rawlings (ENG) 3. The international CC tournament in honour of Aleksandr Petrov (1794-1867), the very first chess master in Russia. 1°. R. Mallee (ENG) 8.5; 2°-4°.H. van Kempen (GER), G. Valerio (ENG), L. Raykin (RUS) 8; 5°; M. Prizant (ENG) 7.5; 6°-7°. C. Pragua (GER), P. Shishkov (RUS) 7; 8°-9°. V. Vayser (RUS), R. Hiltunen (FIN) 6; 10°. V. Malinin (RUS) 5.5; 11°. A. Natkho (RUS) 3.5; 12°. A. Chigishev (RUS) 3; 13°. A. Sumkin (RUS) 0. The international CC tournament in honour of Mikhail Botvinnik (1911-1995), World champion of FIDE who was enchanted by CC in his youth. 1°. V. Perevertkin (RUS) 12; 2°. A. Gilimshin (RUS) 10; 3°-4°. S. Romanov (RUS), C. A. Blanco Gramajo (GUA) 9; 5°-6°. K. Rakay (SVK), V. Napalkov (RUS) 8.5; 7°. A. Kharitonov (RUS) 8; 8°-10°. A. Shikalov (RUS), A. Nickel (GER), A. Mukherjee (ENG) 7; 11°.A. Chigishev (RUS); 12°. M. Mertens (LUX) 5; 13°. E. Rodin (RUS) 4; 14°. S. Sabaev (RUS) 3.5; 15°. A. Lanc (SVK) 1. The international CC tournament in honour of Aivars Gipslis (1937-2000), grandmaster of FIDE and ICCF. 1°.S. Pinkovetsky (RUS) 13; 2°-3°. Yu.Muzyka (RUS), L. Raykin (RUS) 11.5; 4°. V. Vayser (RUS) 11; 5°-6°. V. Malinin (RUS), A. Mukherjee (ENG) 10.5; 7°. A. Bragin (RUS) 8; 9°-11°. A. Gilimshin (RUS), I. Kopylov (RUS), B. Tsoullerman (NED) 7; 12°-13°. A. Gaujens (LAT), V. Krivonosovs (LAT) 6.5; 14°. A. Kažoks (LAT) 5.5; 15°. M. Conroy (ARG) 5; 16°. A. Bazhenov (RUS) 4; 17°. I. Graudins (LAT) 3. The international CC tournament in honour of Anatoly Ufimtsev (1914-2000), chess master and theoretician, the author of Pirz-Ufimtsev Defence. 1°. B. Kovernikov (RUS) 12.5; 2°. P. Valent (AUT) 12; 3°. H. Kruse (GER) 11.5; 4°. A. Natkho (RUS) 11; 5°. A. Berggreen (DEN) 10; 6°-7°. V. Vayser (RUS), A. Ponomarev (RUS) 9; 8°-10°. A. Bazhenov (RUS), V. Filipchenko (RUS), F. kantsurak (RUS) 8; 11°-12°. R. Ward (ENG), O. Mayarov (RUS) 7.5; 13°-14°. H. Onoda (JAP), N. Shchebenyuk (RUS) 6.5; 15°. A. Kuzenkov (RUS) 4; 16°. V. Alyokhin (RUS) 3.5; 17°. K. Krönauer (AUT) 1.5. The international CC tournament in honour of Aleksey Mikhailov (1936-2000), grandmaster of ICCF, the winner of the 10th ICCF Olympiad. 1°. S. Pinkovetsky (RUS) 10; 2°-3°. A. Shikalov (RUS), V. Aleshnya (RUS) 9.5; 4°. R. Kukk (EST) 8.5; 5°. A. Gilimshin (RUS) 7.5; 6°-8°. R. Degerhammar (SWE), Y. Dothan (ISR), B. Zlender (SLO) 7; 9°. J. Novak (SLO) 6.5; 10°-11°. A. Makarov (RUS), E. Gibney (IRL) 6; 12°-13°. W. Krzyzanowski (POL), V. Grigoryev (RUS) 5.5; 14°. V. Napalkov (RUS) 5; 15°. A. Tsvetkov (RUS) 4.5. The international CC tournament in honour of Petr Yashelin (1921-2000), international master of ICCF. 1°. L. Raykin (RUS) 10.5; 2°-3°. P. Timson (ENG), B. Kovernikov (RUS) 9; 4°. J. Anderson (ENG) 8.5; 5°-6°. I. Samarin, A. Gaujens (LAT) 8; 7°-8°. A. Bragin (RUS), V. Grigoryev (RUS) 7.5; 9°-10°. J. Jordan (ENG), V. Vayser (RUS) 6.5; 11°. V. Malinin (RUS) 6; 12°. S. Toldaev (BLR) 5.5; 13°. A. Istomin (RUS) 5; 14°. A. Podymov (RUS) 4; 15°. V. Napalkov (RUS) 3.5. The international CC tournament in honour of Aleksandr Rezvyakov (1953-2002), international master of ICCF. 1°. V. Napalkov (RUS) 9; 2°. H. Kruse (GER); 3°. A. Basov (RUS) 8; 4°. M. Rummele (GER) 7.5; 5°-6°. V. Chupin (RUS), A. Vikulov (RUS) 7; 7°. M. Hase (GER) 6.5; 8°. C. A. Blanco Gramajo (GUA) 6; 9°. V. Gerbich (RUS) 5.5; 10°. I. Goncharov (RUS) 5; 11°. A. Kažoks (LAT) 4.5; 12°. V. Vayser (RUS) 3; 13°. E. Karelin (RUS) 0.5. The international CC tournament in honour of Igor Kopylov (1939-2002), grandmaster of ICCF and the correspondence chess champion of the USSR. 1°. A. Dronov (RUS) 9.5; 2°-3°. I. Dolgov (RUS), J. Davletov (RUS) 8; 4°-5°. T. Barnsley (ENG), S. Ohtake (JAP) 7.5; 6°-8°. F. Cleto (POR), L. Raykin (RUS), V. Vayser (RUS) 6.5; 9°. N. Muzyka (RUS) 6; 10°. G. Sapundjiev (BUL) 4; 11°-12°. V. Yamaliev (RUS), H. R. Tepper (ARG) 2.5; 13°. A. Chigishev (RUS) 2. The international CC tournament in honour of Oleg Moiseev (1925-2002), grandmaster of ICCF, the winner of the 6th, 7th and 8th ICCF Olympiads. 1°-3°. I. Dolgov (RUS), H. Pigg (FIN), A. Kashlyak (RUS) 10; 4°. V. Napalkov (RUS) 9.5; 5°. I. Pheby (ENG) 8.5; 6°-7°. A. Shikalov (RUS), V. Myakutin (RUS) 8; 8°. S. Salov (RUS) 7.5; 9°. U. Strautins (LAT) 7; 10°. J. Saksis (LAT) 6.5; 11°. I. Hristov (BUL) 6; 12°. J. Flores (POR) 5.5; 13°. A. Chigishev (RUS) 4.5; 14°. A. Bazhenov (RUS) 4; 15°. J. M. Bertorello (ARG) 0. The international CC tournament in honour of Roman Altshuler (1919-2002), international master of ICCF. 1°. Y. Dothan (ISR) 11; 2°. S. Teichmeister (AUT) 10; 3°-5°. N. Muzyka (RUS), V. Turkov (RUS), A. Kangur (EST) 9.5; 6°. H. Knoll (AUT) 8.5; 7°-8°. J. Sykora (CZE), F. de Cleto (POR) 7.5; 9°. V. Vayser (RUS) 7; 10°. A. Ponomarev (RUS) 6; 11°. V. Napalkov (RUS) 5.5; 12°. E. Rodin (RUS) 5; 13°. J. B. Gonzalez (ARG) 4; 14°. A. Shikalov (RUS) 3; 15°. A. Bazhenov (RUS) 1.5. The international CC tournament in honour of Aleksey Tsvetkov (1947-2004) grandmaster of ICCF. 1°. G. Kühnel (GER) 11; 2°-3°. C. Ludwig (GER), A. Voll (RUS) 8.5; 4°. A. Ponomarev (RUS) 8; 5°-7°. V. Vayser (RUS), J. Serafim (GER), V. Grigoryev (RUS) 7.5; 8°-9°. V. Lebedev (RUS), A. kashlyak (RUS) 7; 10°. M. Elent (ISR) 6.5; 11°. I. Aronov (RUS) 6; 12°-13°. V. Malinin (RUS), H. Kruse (GER) 5.5; 14°. B. Kovernikov (RUS) 5; 15°. V. Chupin (RUS) 4. The international CC tournament in honour of Lev Abramov (1911-2004), international master and arbiter of ICCF. He was the Vice-President of ICCF in 1959-1967. 1°. J. Serafim (GER) 10; 2°. V. Vayser (RUS) 9.5; 3°. A. A. Silva (POR) 9; 4°-5°. T. Winckelmann (GER), K. Stepanov (RUS) 8; 6°-7°. B. Shulman (RUS), A. Kalinin (RUS) 7.5; 8°. A. Ponomarev (RUS) 7; 9°-11°. F. Kunzelmann (GER), H. Knoll (AUT), P. Shishkov (RUS) 6.5; 12°. V. Napalkov (RUS); 13°. A. Kharitonov (RUS); 14°. V. Myakutin (RUS) 5; 15°. S. Salov (RUS) 2.5. The international CC tournament in honour of Olga Rubtsova (1909-1994), World champion of FIDE and World champion of ICCF. The event was the strongest cc Women’s event ever organised. 1°. T. Zaitseva (RUS) 9; 2°. O. Sukhareva (RUS) 8; 3°. J. Roos (FRA) 7.5; 4°-5°. K. Radzikowska-Holuj (POL), J. Barber (ENG) 7; 6°. C. Saviano (ITA) 6; 7°-10°. N. Yatsenko (RUS), G. Melnik (RUS), N. Litvinenko (KAZ), A. Gabbazova (RUS) 5.5; 11°. M. Jones (ENG) 5; 12°. M. Baboulova (CZE) 4.5; 13°. N. Shchebenyuk (RUS) 2. The international CC tournament in honour of Valery Murakhery (1940-2006). 1°. Y. Dothan (ISR) 10; 2°. P. Mackovsky (CZE) 9.5; 3°. T. Tiits (EST) 9; 4°. M. Rebord (ARG) 8.5; 5°-6°. I. Dimov (BUL), Yu. Muzyka (RUS) 8; 7°. V. Vayser (RUS) 7.5; 8°. I. Dolgov (RUS) 7; 9°. V. Napalkov (RUS) 6.5; 10°. A. Ponomarev (RUS) 6; 11°-13°. A. Kharitonov (RUS), V. Ivanov (RUS), V. Antonenko (RUS) 5.5; 14°. I. Pheby (ENG); 15°. K. Boldysh (RUS) 3.5. The international CC tournament in honour of Sergey Korolev (1937-2007), grandmaster of ICCF. 1°. B. Vandermeulen (BEL) 10.5; 2°. C. Pauwels (BEL) 10; 3°. V. Strautins (LAT) 9; 4°. E. Efendiyev (RUS) 8.5; 5°. P. Rubinas (LIT) 8; 6°. V. Vayser (RUS) 7.7; 7°-8°. A. Ponomarev (RUS), L. Raykin (RUS) 7; 9°-12°. D. Rozenberg (ISR), V.Starotorzhsky (RUS), V. Antonenko (RUS), V. Napalkov (RUS) 6; 13°-14°. H. F. Cordoba (ARG), T. Barnsley (ENG) 5.5; 15°. A. Kashlyak (RUS) 2.5. 1°.H.-D. Wunderlich (GER) 10; 2°. Y. Dothan (USR) 9.5; 3°-4°. T. Tiits (EST), V. Napalkov (RUS); 5°-7°. G. Müller (GER), V. Novikovas (LIT), I. Dolgov (RUS) 8; 8°. K. Kögler (GER) 7.5; 9°. V. Grigoryev (RUS) 7; 10°-11°. V. Chupin (RUS), V. Vayser (RUS) 6.5; 12°. V. Starotorzhsky (RUS) 5.5; 13°. A. Kalinin (RUS) 4.5; 14°. A. Ponomarev (RUS) 4; 15°. F. B. Piccoli (BRA) 3. 1°. B. Zhak (RUS) 11; 2°. R. Serradimigni (FRA) 10.5; 3°-4°. J. Stephan (GER), V. Vayser (RUS) 10; 5°. J. Percze (HUN) 9.5; 6°-7°. C. Pauwels (BEL), D. Krivic (CRO) 8.5; 8°-12°. C. Jaulneau (FRA), S. Teichmeister (AUT), T. Tiits (EST), I. Brooks (ENG), V. Leupold (GER) 8; 13°. S. Pligin (RUS) 7.5; 14°. V. Myakutin (RUS) 6.5; 15°. V. Starotorzhsky (RUS) 5; 16°-17°. N. Muzyka (RUS), A. Ponomarev (RUS) 4.5. The international CC tournament in honour of Aleksandr Alpert (1948-2009), international master and arbiter of ICCF, Vice-President of RCCA. 1°. N. Papenin (UKR) 12; 2°-3°. C. Matei (ROM), C. Voiculescu (ROS) 10; 4°-5°. S. Galanov (RUS), B. Zhak (RUS) 9.5; 6°-9°. A. Isaev (RUS), A. Kochemasov (RUS), T. Barnsley (ENG), A. Nekhaev (RUS) 8.5; 10°-12°. N. Poleschuk (RUS), P. Marczell (SVK), J. Kuiper (NED) 8; 13°. I. Dolgov (RUS) 7.5; 14°. V. vayser (RUS) 7; 15°. N. Muzyka (RUS) 6.5; 16°. V. Starotorzhsky (RUS) 6; 17°. M. Tritt (POL) 0. In 2009 the RCCA commemorated Aleksandr Alpert’s death also organizing an open multi-stage international Cup which attracted 364 entries (252 unique players) from 22 countries. The tournament is still ongoing. The international CC tournament in honour of Mikhail Umansky (1952-2010), chess grandmaster of correspondence chess, who was the 13th World Champion (1989-1998) in correspondence chess. The international CC tournament in honour of Karelin (). The international CC tournament in honour of Sergey Sokolov (). The Russian Correspondence Chess Association has also been organising annual international tournaments, which usually have names Gold, Silver, Bronze, Pearl, since 2008. The participants of these tournaments have a chance to get ICCF titles. The prize winners of these tournaments are listed below. RCCA Gold-2008 1°. B. Zhak (RUS) 12 of 16; 2°. A. Siikaluoma (FIN) 11.5; 3°. C. Cesetti (ITA) 10. RCCA Silver-2008 1°-3°. V. Gritsaenko (RUS), A. Batrakov (RUS), R. Löschnauer (AUT) 11 of 16. RCCA Bronze-2008 1°. N. Papenin (UKR) 12.5 of 16; 2°. A. Nekhaev (RUS) 11.5; 3°-4°. V. Demakov (RUS), F. Mignon (BEL) 10.5. RCCA Gold-2009 1°-2°. S. Galanov (RUS), M. Romm (RUS) 10.5 of 16; 3°. E. Miras Garcia (ESP) 10. RCCA Bronze-2009 1°. J. Garriga Nualart (ESP) 10.5 of 16; 2°-3°. H. Williamson (ENG), G. Schulz (GER) 10. The RCCA celebrates its own round dates organizing international tournaments. The results of these tournaments are listed below. 1°.A. Kažoks (LAT) 11.5; 2°. A. Rezvyakov (RUS) 10.5; 3°. D. Taylor (NIR); 4°-5°. M. Donnely (ENG), R.Smith (ENG) 9.5; 6°. V. Kokorin (RUS) 9; 7°. Shishigin (RUS) 8; 8°. K. Peljo (FIN) 7.5; 9°-11°. V. Kokorin (RUS), A. Belinkov (RUS), M. Grebenchikov (RUS) 5.5; 12°-13°. A. Latash (RUS), G. Limonnikov (RUS) 5; 14°. S. Peschardt (DEN) 2; 15°. E. Karelin (RUS) 0.5. 1°. M. Voss (GER) 9.5; 2°. J. Soberano (POR) 8.5; 3°. P. Coleman (ENG) 7.5; 4°. S. Ohtake (JAP) 7; 5°-6°. V. Grigoryev (RUS), P. Valent (AUT) 6.5; 7°. L. Raykin (RUS) 5.5; 8°-10°. N. Muzyka (RUS), S. Grodzensky (RUS), A. Gilimshin (RUS) 5; 11°. S. Khromov (RUS) 4.5; 12°. F. Balabaev (KAZ) 3.5; 13°. V. Vayser (RUS) 3. 1°. Y. Dothan (ISR) 10; 2°-4°. V. Vayser (RUS), V. Turkov (RUS), V. Napalkov (RUS) 9; 5°-6°. I. Pheby (ENG), I. Aronov (RUS) 8; 7°. W. Hase (GER) 7; 8°-10°. M. Prizant (ENG), L. Raykin (RUS), K. Kitson (ENG) 6.5; 11°-12°. S. Khromov (RUS), S. Matyukhin (RUS) 6; 13°. V. Malinin (RUS) 5.5; 14°. Yu.Muzyka (RUS) 4.5; 15°. M. Shablinsky (BLR) 3.5. 1°. S. Galanov (RUS) 12.5; 2°. B. Zhak (RUS) 10.5; 3°. P. Jonckheere (BEL) 10; 4°-7°. F. Cottegnie (BEL), V. Starotorzhsky (RUS), V. Bobrov (RUS), A. Pavlikov (RUS) 8.5; 8°-9°. M. Elent (ISR), A. Ponomarev (RUS) 8; 10°-14°. A. Ermolaev (RUS), J. Martello (ARG), V. Ivanov (RUS), A. Kažoks (LAT), V. Lupynin (RUS) 7.5; 15°. J. Rhodes (ENG) 6.5; 16°-17°. V. Bucinskas (LIT), K. Kameneckas (LIT) 4.5. The Russian Correspondence Chess Association always remembers its own compatriots. There are a lot of tournaments which are very popular amongst players. To mark the most attractive we name annual Cups which are opened for any player and played either via postal mail or via web-server; and club cups which are opened for any team which consists of 4 players. These club cups are played either via postal mail or webserver.